Not able to receive cashback because Paytm wallet is not KYCed? On October 11th 2017, RBI released new guidelines for wallets which made it mandatory to complete KYC for receiving money in wallets (Refer para 9, 11). If you have not yet done KYC, it is recommended to do it soon in order to receive cashback along with other money directly in your wallet. You can know more about KYC here. Some of Paytm users have recently faced difficulties in receiving Paytm cashbacks because they are not KYCed. If you also have faced similar issues, then there is no need to worry. You can continue to transact and shop on Paytm and still receive cashback as equivalent “Digital Gold” of the same amount. 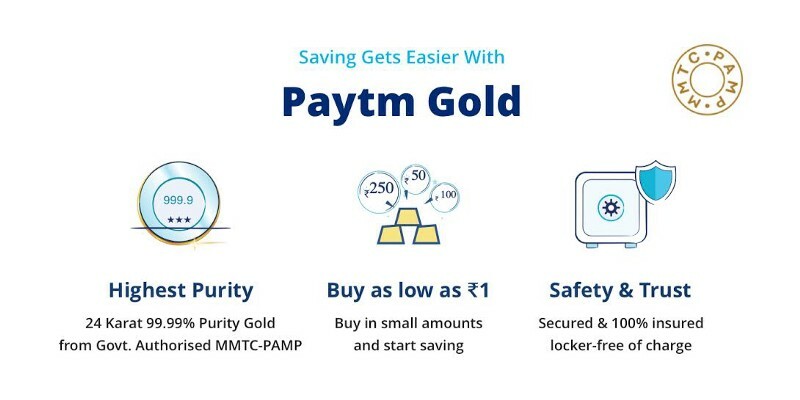 Whether you are shopping online, paying utility bills or buying movie/travel tickets, you can earn pure gold kept for free in MMTC-PAMP’s secured lockers!